Shopping for Clockwork Orange Puzzles? Gather together with your droogs and piece together this iconic poster from A Clockwork Orange. Set in a dystopian near-future Britain, this 500-piece puzzle is sure to capture your imagination and keep you hanging on for more. 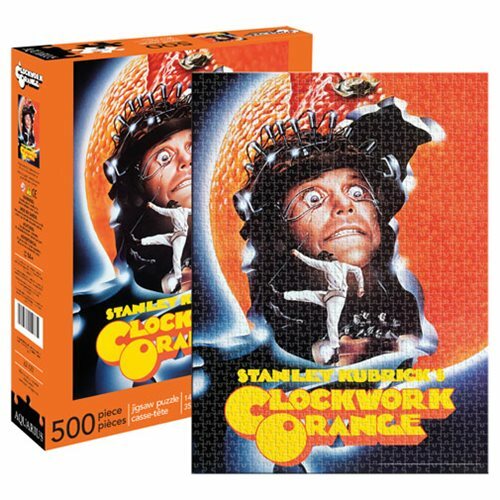 Get A Clockwork Orange One Sheet 500-Piece Puzzle today! Ages 17 and up.